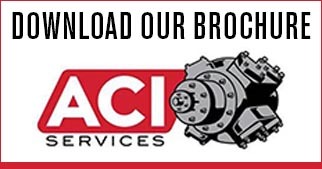 ACI provides engineered compressor products and services to a worldwide market. We specialize in custom compressor cylinders and unloaders and interactive performance software. We are known for our performance-enhanced compressor components such as pistons, rods, liners and custom valves. ACI offers engineering services including thermodynamic performance reviews, acoustic studies and more. ACI Services is the home of EnviroLine® compressor products-good for our environment: good for your company’s bottom line.